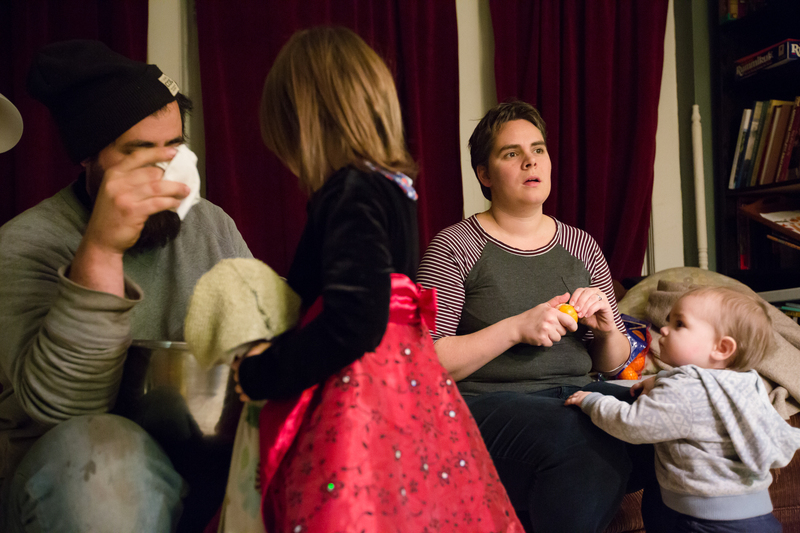 Siebers was about halfway through her pregnancy with Frances, when health professionals guiding her care told Siebers she should be on bed rest. And the subsequent months, spent confined to a bed and couch in her small home in Milwaukee, turned her family's life upside down. 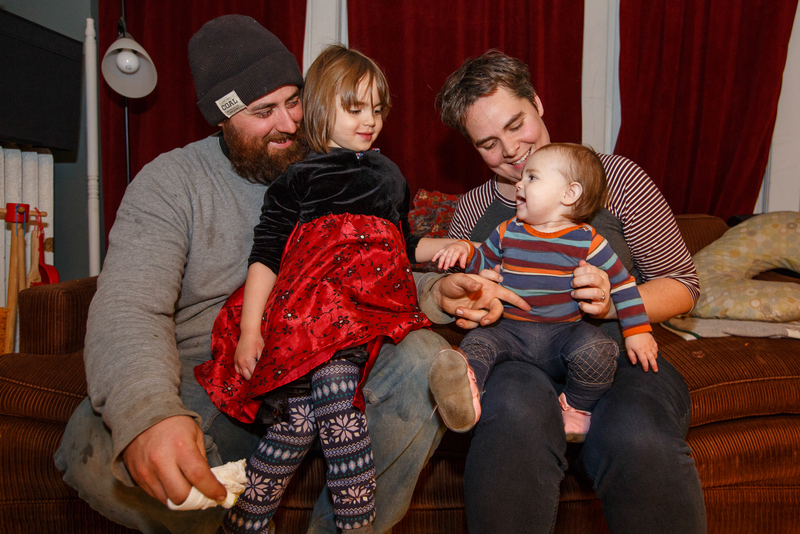 "My husband immediately quit his full time job," Siebers says, "and he took care of me. I wouldn't even get my own glasses of water. So I like to say that 'I was on bed rest, and he was on house arrest,' because he really couldn't leave either." Siebers is just one of thousands of pregnant women who are put on bed rest by their doctors, nurses or midwives each year. The stated reason: Going to bed will help prevent a premature birth, or worse, a miscarriage. But there's a major problem with this advice — there is no solid, scientific evidence that bed rest improves outcomes for pregnant women and their babies. "The bottom line is that there's never been any proven benefit of bed rest," says Dr. Anne Drapkin Lyerly, an OB-GYN and professor of bioethics at the University of North Carolina at Chapel Hill. Lyerly and colleagues in 2013 did a review of the scientific research on bed rest as it relates to a variety of conditions, from early contractions to high blood pressure to carrying twins. They found no benefit. In fact, women put on bed rest can suffer harm — physical, psychological and economic. "It doesn't seem like a dangerous intervention in the same way we think about surgeries or medications," Lyerly says. "But in fact it can be very dangerous." Siebers was about 22 weeks pregnant when she visited a radiologist for a routine ultrasound. It was a standard screening at that point in her pregnancy — one that checks the baby's growth, proportions and organs to ensure the fetus is developing properly. The baby was doing great, the doctor told her. The fetal heartbeat was strong and the ultrasound looked perfect. But there was one point of concern: Siebers' cervix was 'shortened,' which can be a sign that a woman is at risk of preterm labor. "So that was really scary for us," she says. "We're at this appointment and the doctor's looking at the baby and saying, 'You've got a beautiful heart.' And I'm thinking, 'Oh great, they've got a beautiful heart and they might die.' "
Siebers' health care team at that point included a midwife, who was her primary caregiver, an obstetrician consulting on her case, and the doctors who performed the ultrasound. Because she'd had a miscarriage the year before, the team recommended she undergo a procedure called a cerclage to help keep her cervix closed. And they wanted her to stay in bed. Deb Studey, Siebers' midwife, had cared for her during her previous pregnancy, which had ended in miscarriage at the end of the first trimester. Studey says she believes the bed rest may have helped Siebers carry this second child — Frances — to term. "I know that being on bed rest was hard for Margaret. But I also knew, on the flip of that, having a 24-week baby in an ICU wasn't going to be an easy outcome either. So, in my mind," Studey says, "bed rest let her get to term." Studey is aware that the research doesn't show bed rest to be beneficial. In fact, a 2013 study that specifically addressed the issue of a shortened cervix found that women who were prescribed activity restrictions during their pregnancy were actually more likely to give birth early. "I think studies are always of interest," Studey says. "I guess I pay attention just as equally to how things are working for women — and that doesn't always fit a study. I think we're all different." But Lyerly, the UNC bioethicist, tells NPR bed rest is not a benign intervention, and doctors and others who work with pregnant women need to think hard before prescribing it. And the American College of Obstetricians and Gynecologists cautions against it, for several medical reasons. "One of the most dangerous things that can happen when a woman is on bed rest is having a blood clot," Lyerly says. "You can have blood clots in your legs or in your pelvis. And if those clots travel to your lungs, it's life threatening." She says women also risk losing muscle tone, becoming weak — just before they're about to go through labor and then care for a child. And lying in bed can weaken bones, and reduce lung capacity. Some women become depressed. "Women who are pregnant are not just 'women who are pregnant,' " Lyerly says. "They are oftentimes mothers of other children. They are senators; CEOs; journalists; professors. They work in restaurants. They have jobs and they need their jobs." On a mid-November evening, the Siebers family is celebrating Frances' first birthday. Margaret and her husband Alex have come home from work, where Alex had just injured his finger with a miter saw and was trying to clean and bandage the wound. Margaret made popcorn and peeled mandarins for the kids, as 4-year-old Violet twirled around the house in a whirlwind of red sparkles, and Frances climbed everything she saw. It wasn't a scene that lent itself to quiet time on the couch. That's why, when Margaret Siebers was told to stop moving, to go to bed, Alex Siebers, 33, quit his job to care for the family for several months. "Her mobility was extremely limited," he says, "and the fact that we live in this house where the bathroom's upstairs, you know, wasn't helpful." His wife would get up in the morning, use the bathroom and go downstairs to the brown corduroy couch. She'd write letters, watch Netflix, read books. "I could go upstairs to use the bathroom," Margaret recalls. "I tried not to go too often, just because I didn't want to be up and down the steps too much. I would sit on the porch sometimes. But whenever I moved, I would try to stay where I landed for hours, if I could." She was able to continue working from bed, 24-hour a week, for her family's company, Bagtags Inc., which makes lanyards and custom name tags for big events. But that was hardly enough to make ends meet. The Siebers went on Medicaid. They also qualified for FoodShare, Wisconsin's food stamp program, and WIC, the federal nutrition program for women, infants and children. Friends from church got organized to bring the family meals. And their landlord gave them a break on their rent. Margaret received a small inheritance of $1,000, along with a tax return of about $800 that gave her some unexpected money. "All of those things together helped us to get through," she says, "but barely. If any of those things were missing, I don't really know what we would have done. Maybe move in with relatives." And the family became isolated, says her husband. "It felt kind of like 'knocked out of society' for a while," Alex Siebers says. "Our daily routine, our lives and our connections with people — we lost touch. Because we were, you know, trapped in here just trying to make it." Kelly Jones, an economics professor at American University in Washington, D.C., and a senior research economist at the Institute for Women's Policy Research, says prescribing bed rest diminishes the role of women in society. "If you're telling a woman to undertake an activity that you're not certain is going to be benefiting her, and yet it's keeping her away from her job, what you're saying to her is 'Your participation in the economy is not important,' " Jones says. The practice can also more generally harm the standing of women in the workplace. "We know that the gender wage gap really starts when a woman has her first child," Jones says. She says that's partly because women take on more household work and child care. "But there are also aspects of that, that come from false assumptions, or [from] discrimination in the workplace surrounding childbirth and motherhood." Sending women to bed reinforces the notion that they are fragile or weak, Jones says. And those long-term absences from the workplace can have lasting effects on a woman's earning power. Siebers' consulting obstetrician, Sheldon Wasserman, says he's seen women and men make huge sacrifices to ensure a successful pregnancy — including people who mortgage their homes to pay for fertility treatments and women who spend months in bed. "The pursuit of having a child is one of the most fundamental desires," he says. Wasserman is chair of the Wisconsin section of ACOG. He knows what the research on bed rest says, and knows about ACOG's recommendations against it. "I'm kind of torn between the art and the science of medicine," he says. "Have I seen over the years patients who were on bed rest who were able to have children when their previous obstetrical history is very poor? Yes, I have." It's hard to quantify just how many pregnant women are ordered to bed each year by their doctors. A widely cited study from 1996 found that about 20 percent of women were prescribed bed rest at that time. A study two years later found that as many as 90 percent of maternal-fetal specialists order bed rest for some patients in high risk pregnancies. The practice dates back to the time of Hippocrates, but became widespread in the late 1800s, when a British anatomist posited that if immobility heals broken bones, it likely could heal other ailments. The "rest cure" became standard medical care, according to Jacqueline Wolf, a professor of the history of medicine at Ohio University, who has written books about the history of pregnancy and childbirth. Prescribing bed rest for pregnancy persisted in part, she says, because there was a notion that pregnant women were vulnerable to getting upset and hysterical. 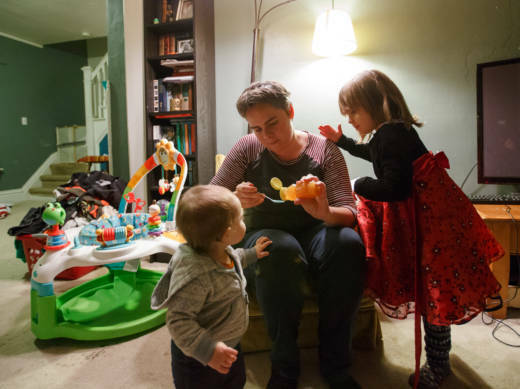 "So, prenatal care brought out [among] obstetricians — virtually all of whom were men in the U.S. until the 1970s — a very intense and pervasive paternalism," Wolf says. "If a woman had any sign of preterm labor or bleeding, she was to get complete rest. No visitors. No conversations. Darkened room — shades drawn. Even earplugs." The depth of research on the topic has changed since the 1970s. But bed rest is still widely prescribed. Today, women's magazines, consumer advice web sites and even major medical centers include information about bed rest as a common practice that anyone may expect to face. When NPR asked listeners if they've been on bed rest in the last year, more than 200 women responded in just four days. Some said they'd spent just a few days in bed, or were told simply to 'lighten up' on their physical activity. Others, like Margaret Siebers, were given strict orders to stay in bed. Siebers says she was aware that the research showed little benefit to her staying in bed. "You better believe I spent a lot of that time lying on my back reading articles about the effectiveness of it," she says. "So that was something that came up a lot." She asked her doctors if she could travel to her family's cabin, and lay on the couch there, just for a change of scenery. She questioned exactly how much she could do. Could she cook? Walk her daughter one block to the park? The caregivers didn't always agree. But in general it came down to this: The baby is OK, so don't change a thing. That rationale is particularly troublesome to Anne Drapkin Lyerly with UNC, because it can induce unearned guilt in the mother if something goes wrong with her pregnancy. "When bed rest is prescribed, the implication is that it is useful and that the immobilization is what is going to prevent whatever dreaded outcome — whether that's preterm birth or miscarriage or preeclampsia," Lyerly says. "If it ends up that a baby is born prematurely, or a woman develops preeclampsia, she is going to worry that she didn't adhere to the recommendation well enough and will blame herself." Lyerly says she prescribed strict bed rest to one of her patients early in her career, and the pregnancy ended in miscarriage several hours after the woman took a shower. "There was no amount of argument I could do to make her think it wasn't her fault," Lyerly recalls. "Because, after all, we had prescribed bed rest and she had gotten up." When Siebers' pregnancy reached 37 weeks, a time when doctors believe it's safe to give birth, the stitch that doctors had taken to hold her cervix closed was removed. She was allowed to get up and return to normal activity. It was then a full three weeks before she went into labor, and gave birth to Frances. "So maybe it worked really well, or maybe it wasn't necessary," Siebers says of her time spent on bed rest. But after all the family went through, she says, she doubts she'll want to have another child. 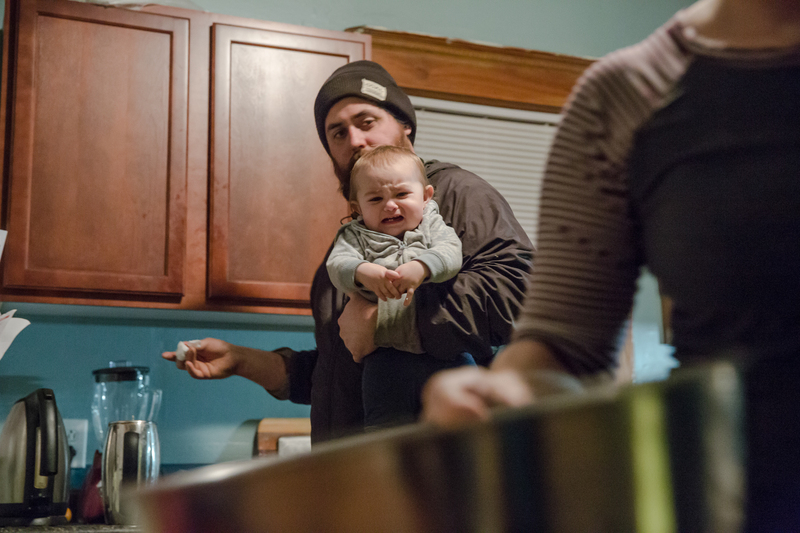 Now, a year after Frances' birth, both her parents have returned to full-time jobs. 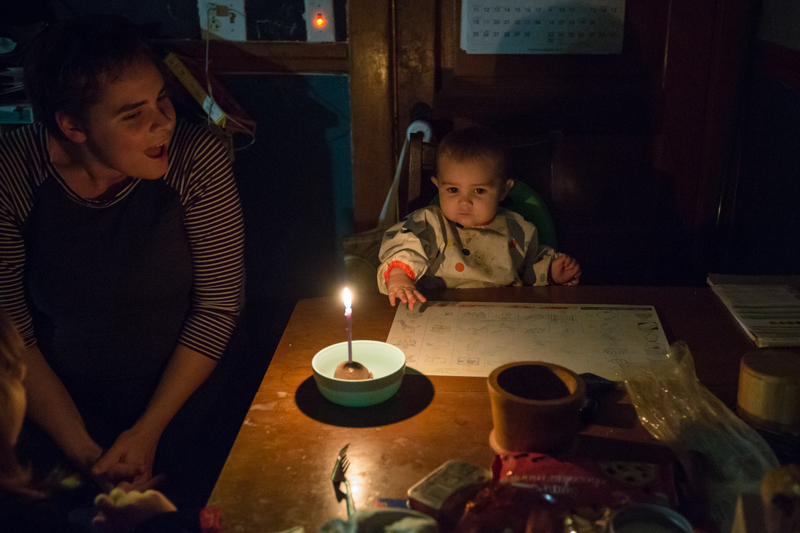 The family gathers around a table, with little bowls of ice cream – one with a single candle for Frances. They sing an extra-long version of Happy Birthday, Margaret Siebers' family tradition, and mom blows out the candle as Frances dips her fingers tentatively into her first ice cream. Alex Siebers ponders the whole experience. "It would be very disheartening to learn later on in life — after there had been much more study and research done on this — to find out that that hadn't been necessary," he says. "Because that was a real hardship for us. I can't, obviously, attribute the outcome to the bed rest completely. But, you know, there she is. You know — there's the baby."